Joichi “Joi” Ito is an activist, entrepreneur, venture capitalist and scholar focusing on the ethics and governance of technology, tackling complex problems such as climate change, societal inequity, and redesigning the systems that support scholarship and science. As director of the MIT Media Lab and a Professor of the Practice in Media Arts and Sciences, he supports researchers at the Media Lab to deploy design, science, and technology such as AI, blockchain, and synthetic biology to transform society in substantial and positive ways. Daiko Matsuyama is a Zen priest and vice-Abbot of Taizo-in within the Myoshin ji temples comples. Myoshin ji serves as the headquarters for Rinzai Zen. He has been a member of Kyoto’s Ambassadors for Tourism since 2011, and was listed as one of “The Top 100 People of the New Generation 2016” in Nikkei Business. Matsuyama was appointed as a fellow of US-Japan Leadership Program from 2016. In 2017, he became a visiting professor at Kyoto University of Art and Design. Tenzin Priyadarshi is Director of Ethics Initiative at MIT Media Lab and is President of The Dalai Lama Center for Ethics and Transformative Values at MIT. His recent works focus on ethics and empathy learning. He is a Tribeca Disruptive Fellow and 2018 Fellow at Center for Advanced Study in Behavioral Sciences at Stanford University. As a Buddhist monk, he has also served as the Buddhist Chaplain to the Institute since 2001. Rekha Malhotra aka DJ Rekha is a producer, curator, educator, and activist. She is the founder of one of NYC’s longest running club nights, Basement Bhangra (1997-2017), DJ Rekha has done sound design and production for Broadway and Nation Public Radio as well as remixes for artists ranging from Meredith Monk to Priyanka Chopra. DJ Rekha has performed at the Obama White House and internationally and serves on the board of the community organization, Chhaya CDC. She is currently a Masters Candidate in the Comparative Media Studies at MIT and produces the weekly podcast Bhangra and Beyond. Our weekly meeting, with a period of meditation followed by open discussion. Open to anyone interested in practicing Buddhism or just curious about it. Please join us for 30 minutes of silent meditation in the Barker reading room. Sit for a minute, or 30. Offered by the MIT Libraries. Please arrive promptly. Beginners welcome. Thursdays, 8pm-9:30pm. Check here to confirm schedule. Weekly teachings with The Venerable Tenzin Priyadarshi. When Venerable Tenzin is not on-campus in person, he teaches through live interactive webcast. Current texts for discussion are His Holiness the Dalai Lama's How to Expand Love and Acharya Shantideva's Guide to a Bodhisattva's Way of Life. Previous teachings have covered: Acharya Nagarjuna's Exposition on Bodhichitta, HH the Dalai Lama's The Art of Happiness, Patrul Rinpoche's Words of My Perfect Teacher, Foundations of Buddhism, and others. Register here to receive updates on the Thursday Teachings. 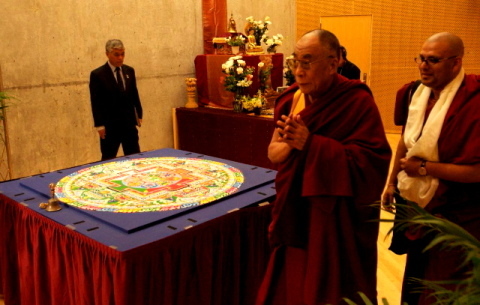 Videos from the Dalai Lama's visit in October 2012 can be found here and here. The Buddhist Community now has a Library of Buddhist books. Stop by before or after the Thursday meditation to discuss borrowing. The Benefits of Meditation, from the MIT News Office, about MIT and Harvard researchers finding a neurological benefit to meditation. The Campus Chapel as an Interfaith Laboratory, in the Chronicle of Higher Education: The White House encourages colleges to bring religious communities together for interfaith services and conversation. New links on our Media Gallery page! 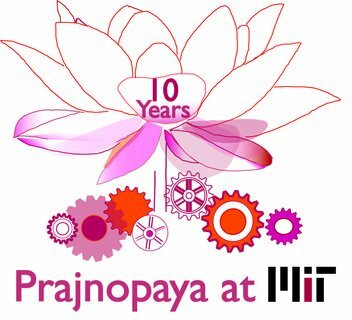 Programs supported in part by the Office of Religious Life (MIT); Dean of Student Life (MIT); and Prajnopaya. On-campus activities sponsored by MIT GSC via the Buddhist Students Club. Welcome! The MIT Buddhist Community is a group of keen individuals interested in the study and practice of Buddhist meditation and Buddhist philosophy. Led by MIT's Buddhist Chaplain, the Venerable Tenzin Priyadarshi, we participate in weekly teachings, regular meditation exercises, and periodic all-day retreats. Undergraduates, graduate students, and alumni are all welcome! 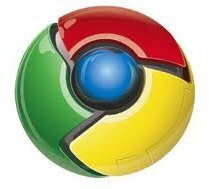 The Google Group is used for quotes-of-the-day and general discussion. 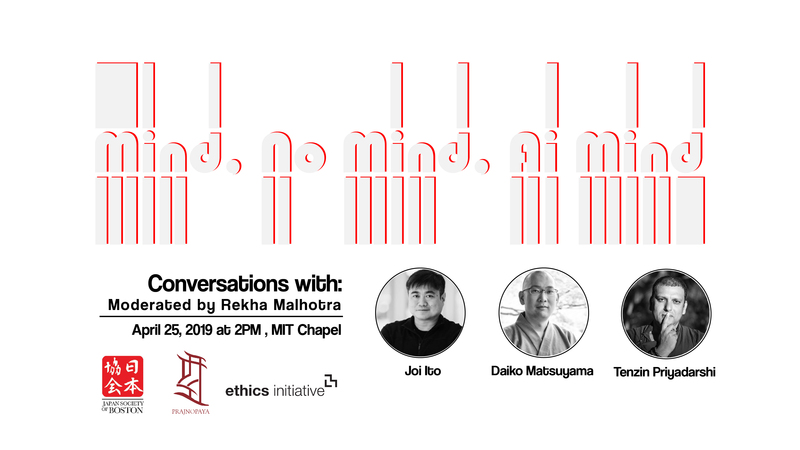 Events are also posted to the MIT Events Calendar ; do a quick-search for "buddhist".